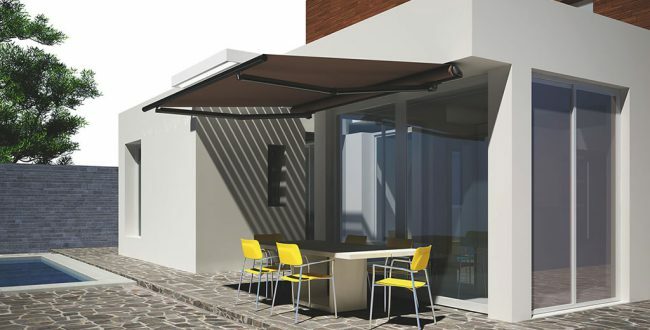 Coast Blinds & Shutters are proud to offer the Stein retractable awning from the Rollease Acmeda folding arm awning range. 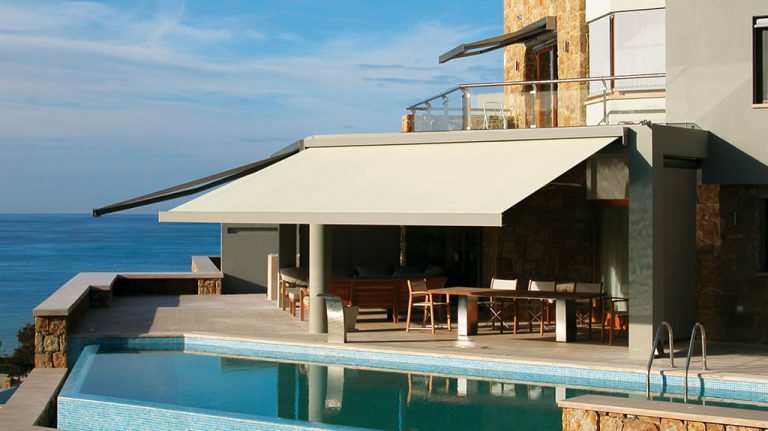 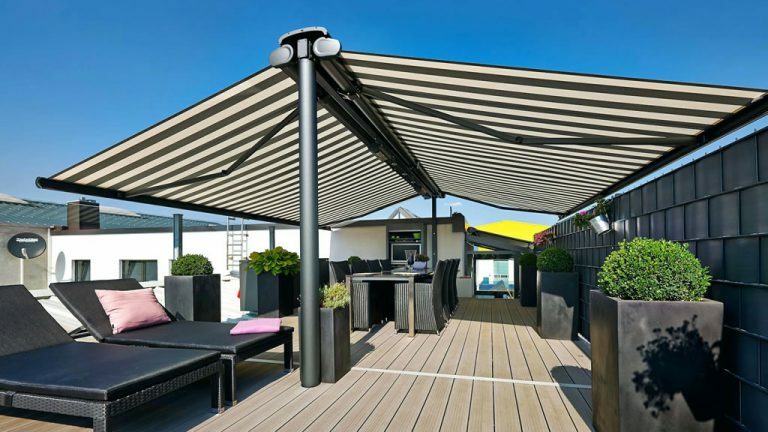 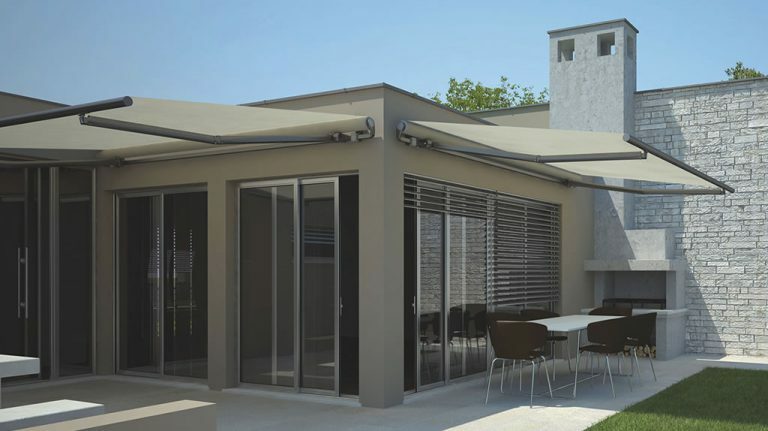 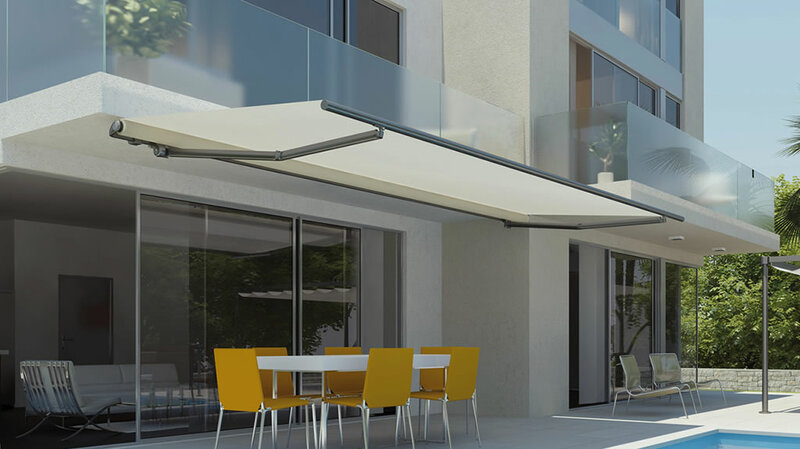 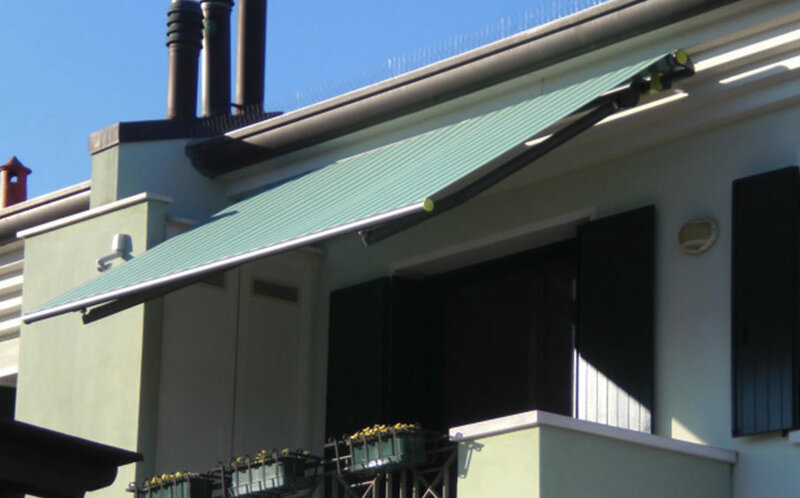 Enjoy the simplicity and elegance of this low profile retractable awning frame. 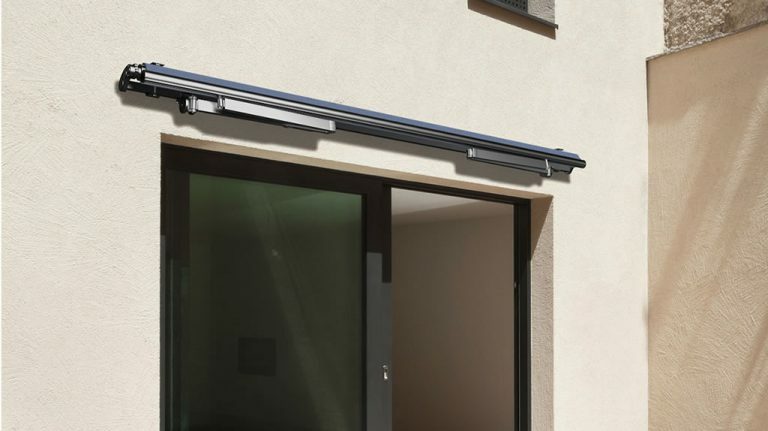 We invite you to look at the back of the frame: the roller tube support inserts directly into the end of the square bar - a wonderfully clean finish. 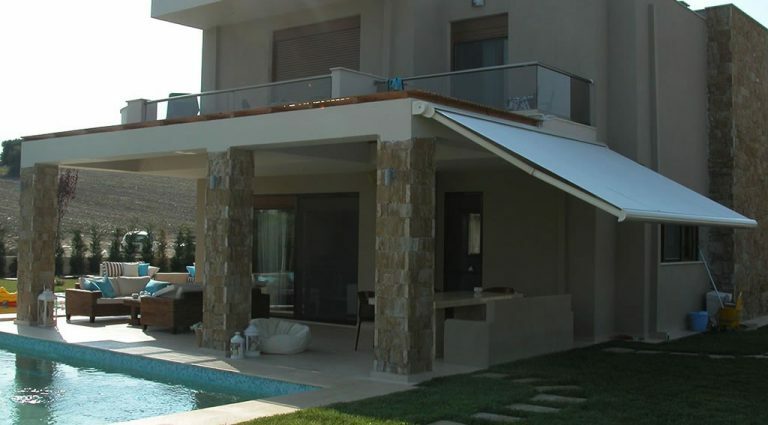 Look at the plastic covers of the arm supports, their finish adds class and style. 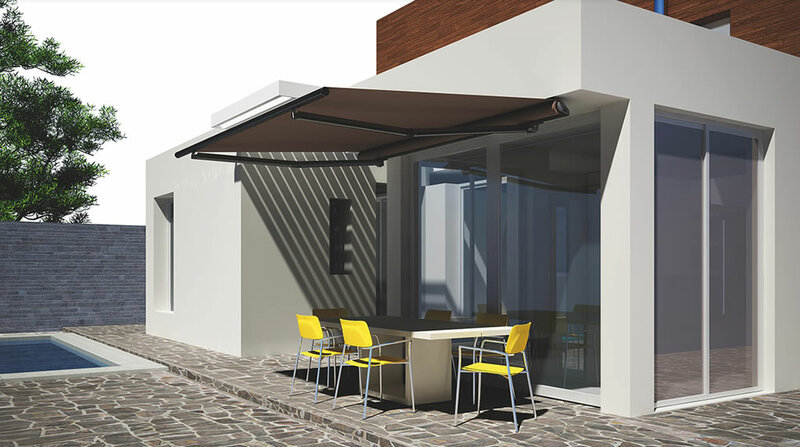 For a minimalist aesthetic without compromising functionality, the Stein range is the awning to consider. 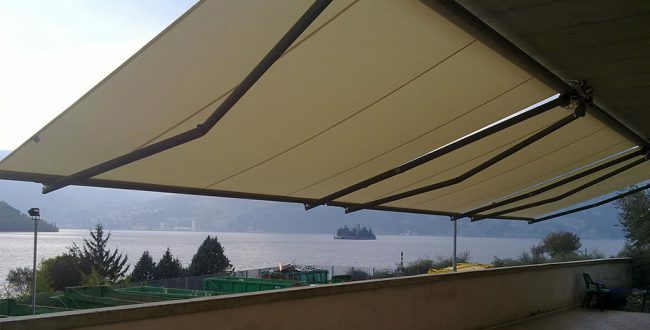 Available up to 7 meters width and 3.65 meters projection in a single module, Stein can be coupled up to 14 meters width with one single fabric. 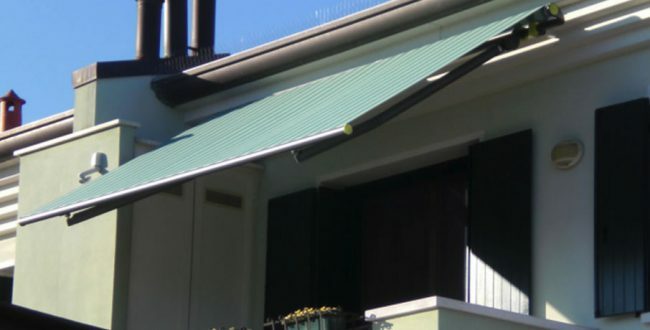 Stein features the rounded shape home arm, incorporating the most advanced technology, with fine Italian design. 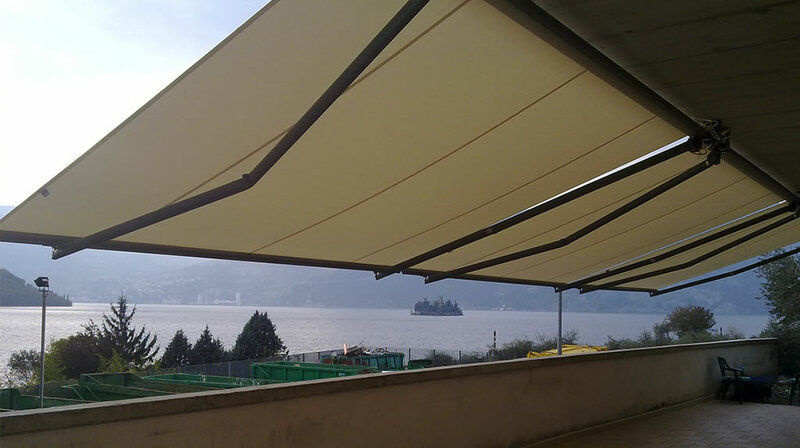 With its dynamic arm torsion system this arm provides protection of the traction system, and prevents fabric damages.